Please Note: Due to their bulk, cores can only be shipped to UK and Ireland addresses. 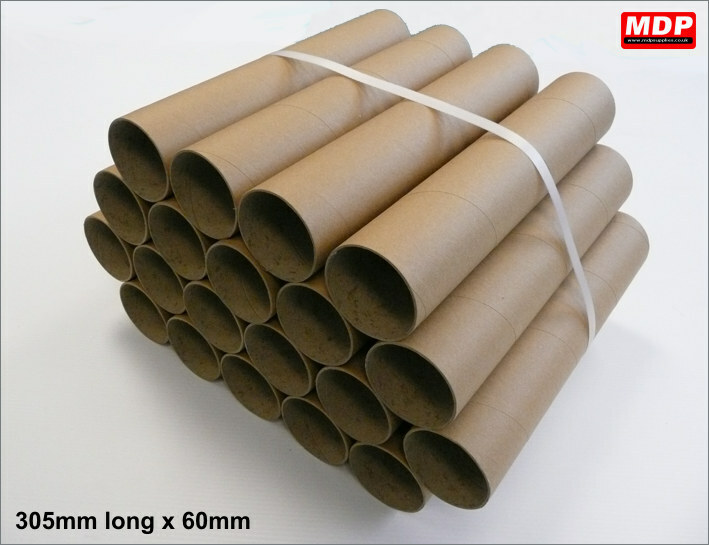 Cardboard tube 305mm long x 60mm diameter. Pack of 20. To make them into postal tubes see the end cap product below. Price for 3 - 4 £4.55 ea. Price for 5+ £3.95 ea. 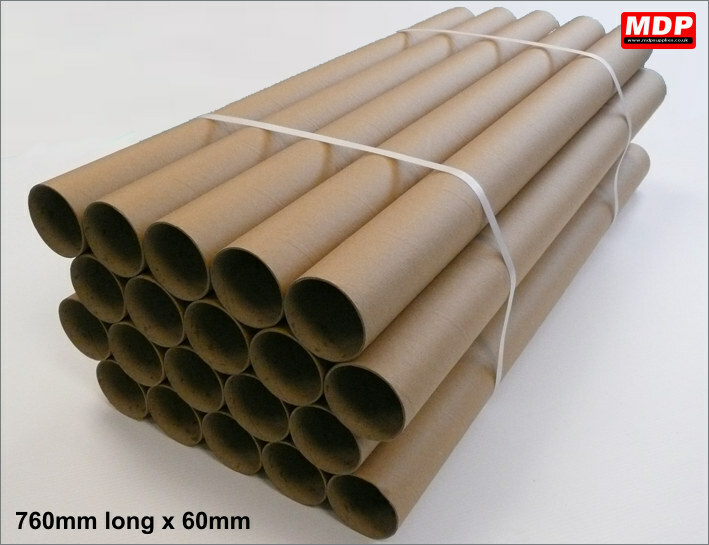 Cardboard tube 610mm long x 60mm diameter. Pack of 20. To make them into postal tubes see the end cap product below. 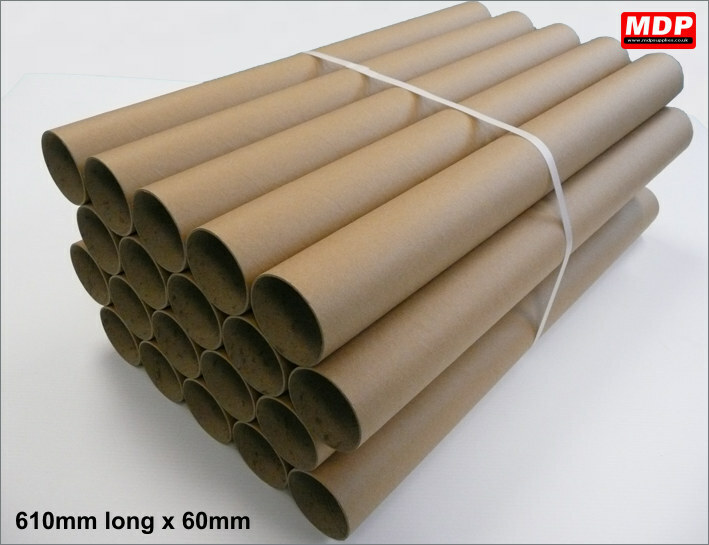 Cardboard tube 760mm long x 60mm diameter. Pack of 20. To make them into postal tubes see the end cap product below. Price for 3 - 4 £6.49 ea. Price for 5+ £5.95 ea. 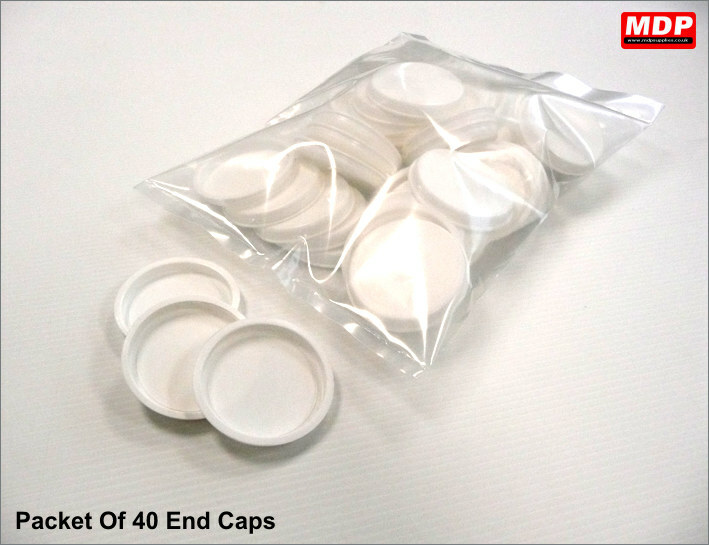 Plastic end caps to make the 60mm diameter cardboard cores into postal tubes. Pack of 40. Price for 1 - 2 £4.49 ea. Price for 3 - 4 £4.29 ea.